The Volkl Kenja is always a favorite ski for strong intermediate to expert skiing women looking for a damp and powerful ride anywhere on the mountain. Volkl's Multi-Layer Woodcore is loaded with energy while a Full Titanal Laminate adds extra horsepower and stability capable of charging through crud, chunky snow and soft conditions. Full Length Vertical Sidewalls drive a tough edge into firm or icy slopes as well as boosting the torsional strength for added responsiveness. Moderate Taper in the tips and tails enhance maneuverability and prevent a hooky feeling when you get into some deep powder or crud. Tip and Tail Rocker also add extra floatation, maneuverability and effortless carves. If you want a stable and smooth ride that rips in any type of terrain the Volkl Kenja will be an excellent ski for you. 2019 Volkl Kenja Ski Review by Tori . 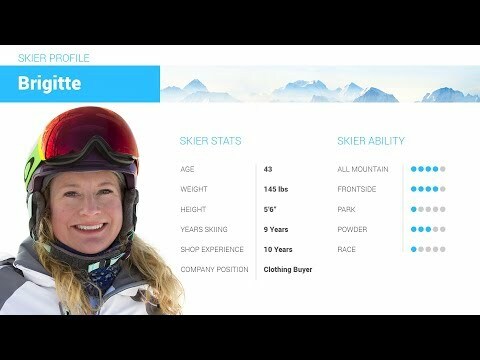 2019 Volkl Kenja Ski Review by Brigitte. 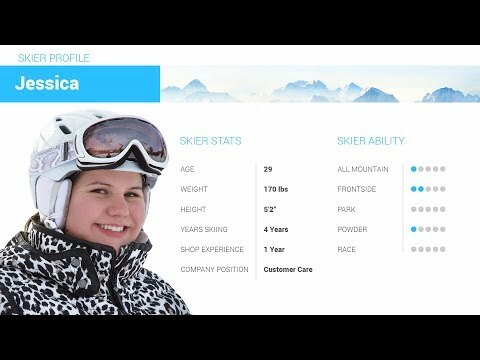 2019 Volkl Kenja Ski Review by Jessica.